Well Maintained home in the Award Winning Community of Four Seasons. Six bedrooms and six and a half baths with ground floor rec room. Five Master Suites with King beds and a bunk room for the kids. Top floor open floor plan with office. Kitchen has a double wall oven and 2 dishwashers and a large breakfast bar. Quality Construction throughout, six panel solid wood doors.Large out door pool area with a 14x28 private pool and hot tub. Many updates...2015 new pool liner, 2017 new pool pump and microwave, 2018 New 3 zone 14 seer 2 ton HVAC system and BBQ grill. 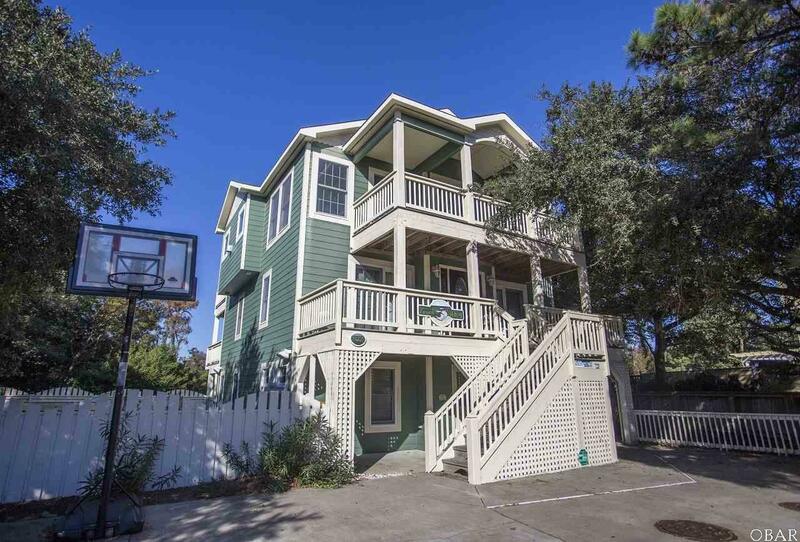 Enjoy all the Community amenities... indoor pool, club house with work out room, basketball, tennis court, outdoor community pool with bath house near the beach access. Listing courtesy of Barry Breit of Carolina Designs Realty.